The True Fitness CS600 knows what it takes to last in the fitness industry. With over 30 years of innovation experience, TRUE continues to be recognised as the best in the industry for quality and durability. Our original goal 32 years ago was to build the world’s best fitness equipment. That same commitment to quality is found in every TRUE product today. Building the best will always remain our top priority. TRUE Fitness knows what it takes to last in the fitness industry. With over 30 years of innovation experience, TRUE continues to be recognized as the best in the industry for quality and durability. Our original goal 32 years ago was to build the world’s best fitness equipment. That same commitment to quality is found in every TRUE product today. Building the best will always remain our top priority. TRUE’s patented SOFT System™ offers the most orthopedically correct running surface available. The Soft System™ works to absorb the shock of impact, helping to properly distribute your weight, preventing injury and allowing your stride to correct itself every time your foot strikes. Buy True Fitness CS600 Treadmill online. 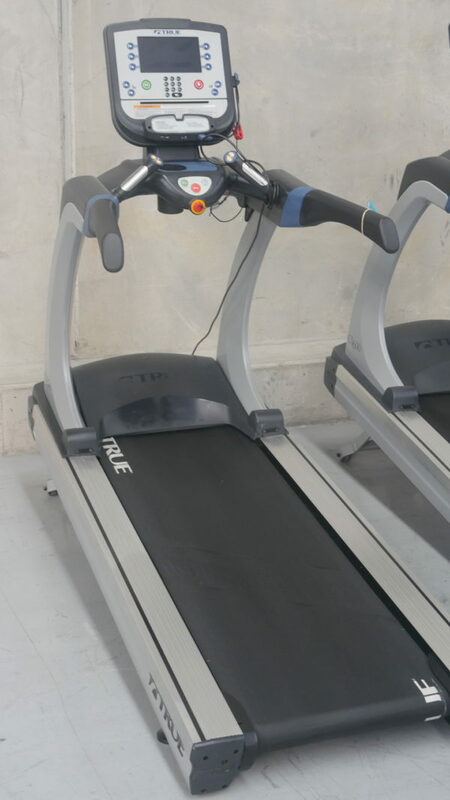 If you are interested in the True Fitness CS600 Treadmill for sale, feel free to enquire above.